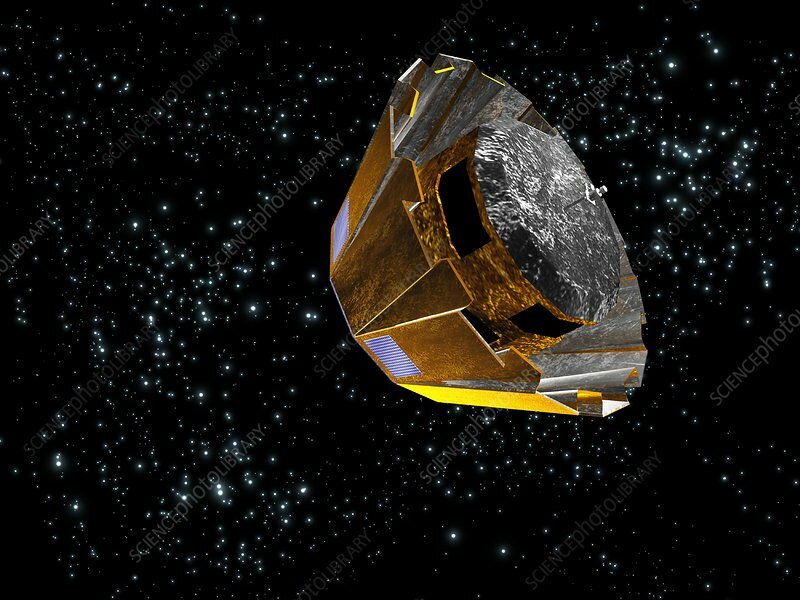 Gaia satellite deployment, artwork. Gaia is a European Space Agency (ESA) spacecraft due to be launched in August 2013. It will travel to the second Lagrangian point (L2), located about 1.6 million kilometres from the Earth in the direction opposite to the Sun. From there, it will scan the sky for five years and measure the position and properties of a billion stars in the Milky Way Galaxy. It will also be used to detect extrasolar planets, asteroids within the solar system, and distant quasars, as well as testing the Theory of General Relativity. It will be powered by solar panels, which are being deployed here.